Do you know what Modernism looks like? Modern design can range from Contemporary Edgy and Minimal to Clean, Mid-Century, Spare Elegance. One of my favorite places to shop for this look is West Elm. This chaise has a narrow, sleek design with no bulkiness. Modernism is a reduction rather than an embellishment. 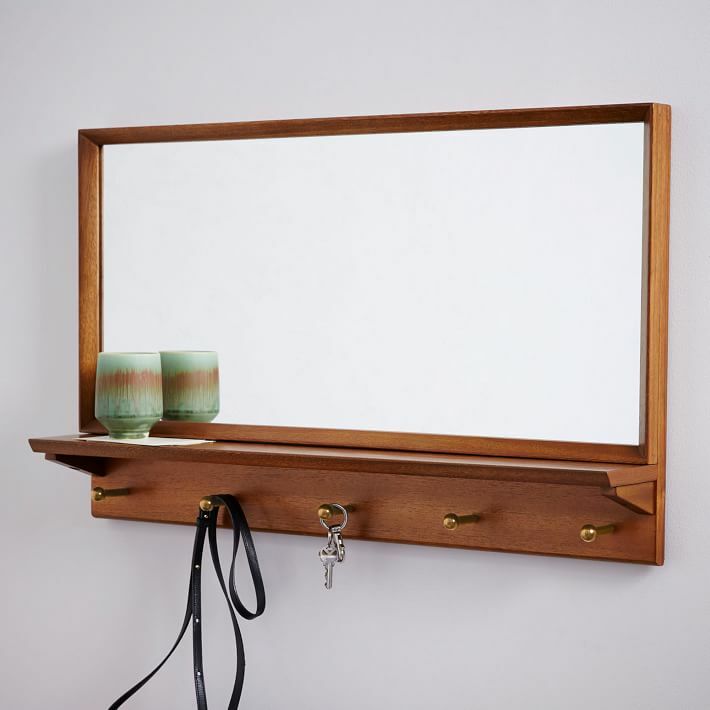 This entry mirror helps keep you organized and has a simple elegant look. Modernism is an attitude of spacial relationships vs. heavily layered furnishing and accessories. 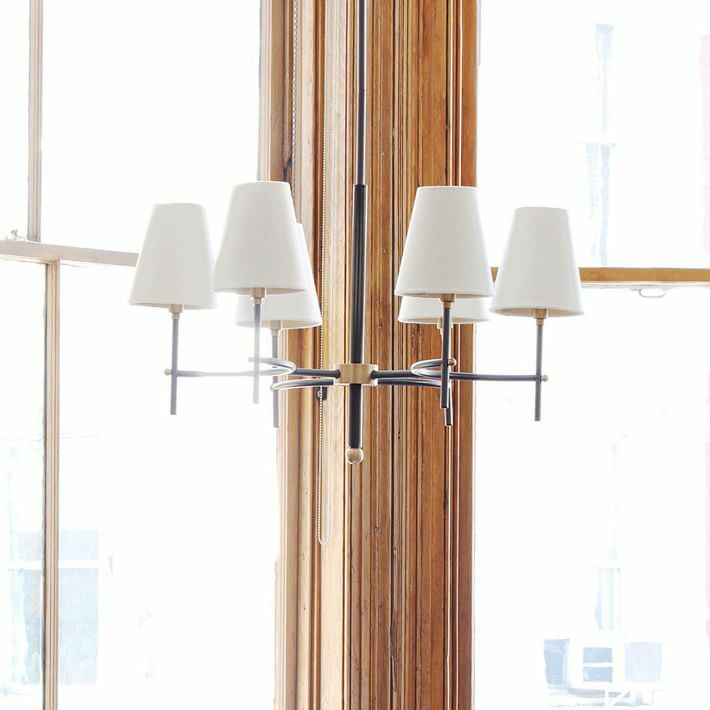 This chandelier is finished in antique bronze and brass with white linen shades resembling the designs of the 1950’s and 1960’s. Each piece of furniture has space and room to breathe. Contact me today for more information on how to transform your home to this clean modern style.